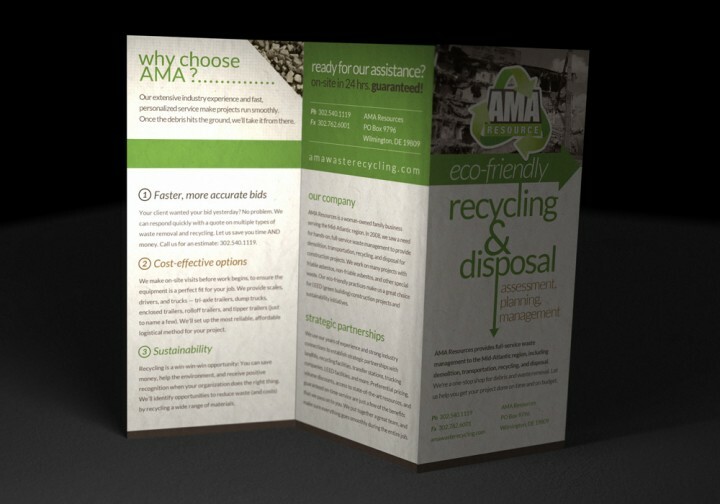 AMA Brochure - Wood Street, Inc. 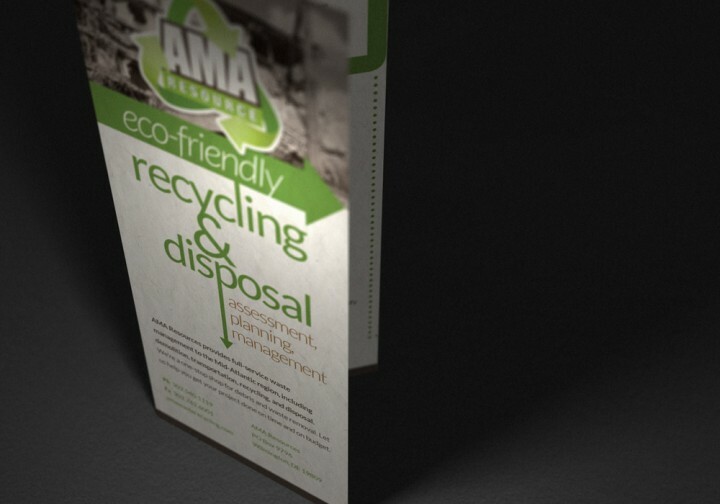 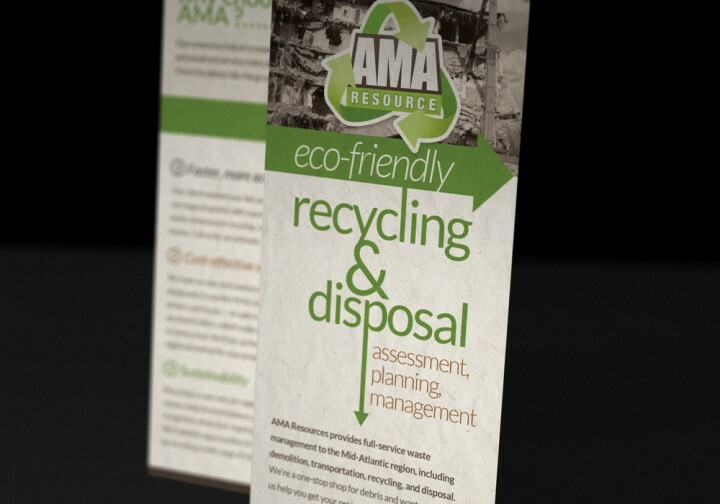 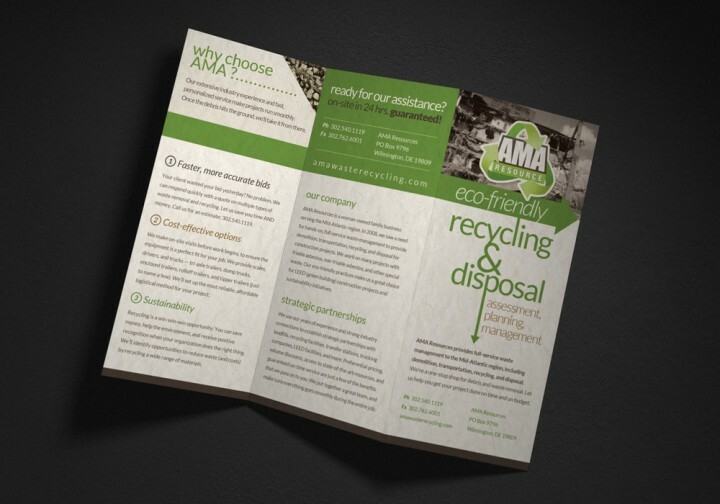 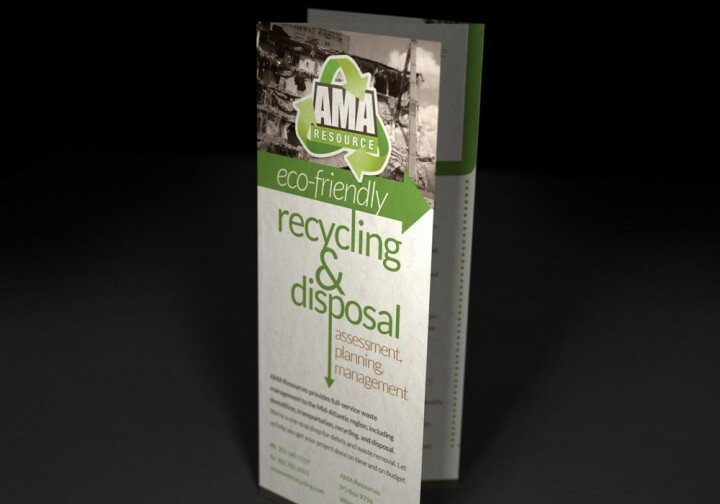 When AMA Resources came to Wood Street, their marketing materials and website were in disarray. 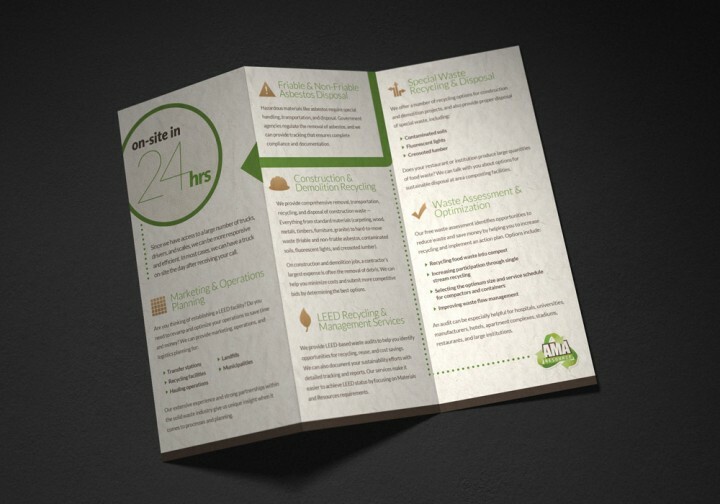 They need a clear cohesive message wrapped in an appropriate and appealing design in order to effectively market their services to their target audience. 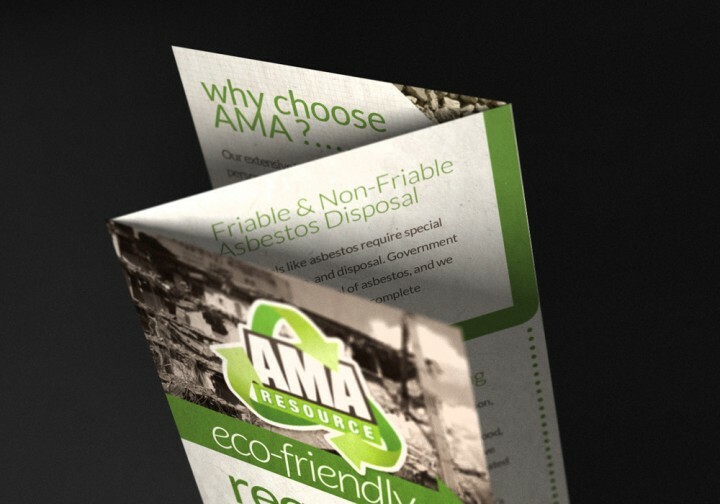 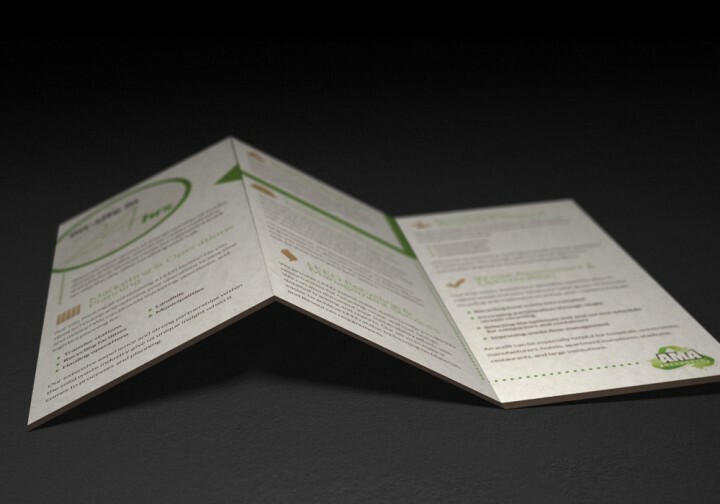 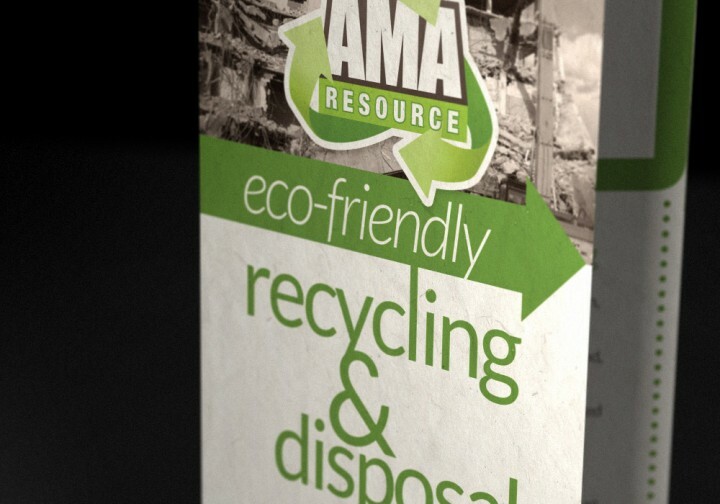 AMA Resources wanted to start with a website but knew that collateral would be important. 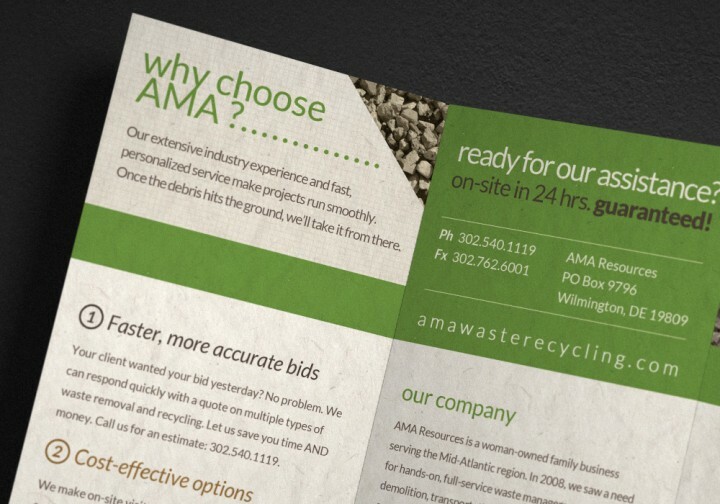 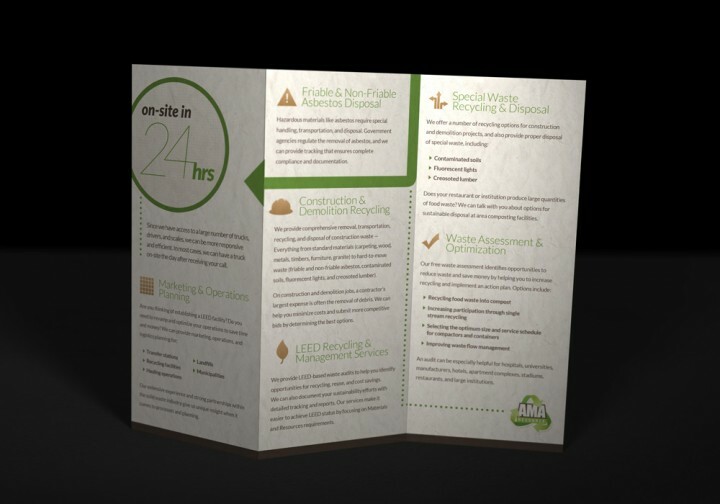 Working with copywriter Jessica Hibbard, Wood Street created a brochure that mimiced the style of the new site and readily explained the value of AMA’s services.